This QR and barcode scanner was designed with the needs of Visually Impaired People (VIP) in mind. 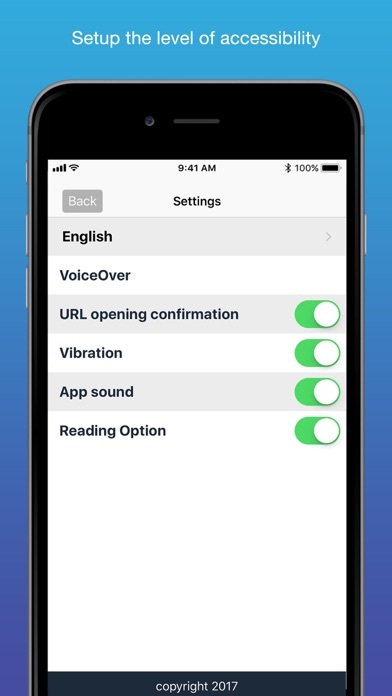 Under the default settings, a radar-like sound rings when opening the application's camera. The scanner is able to detect any QR code or barcode that is present in the camera's field of vision. As soon as a code is detected, the application redirects the user to the corresponding webpage. 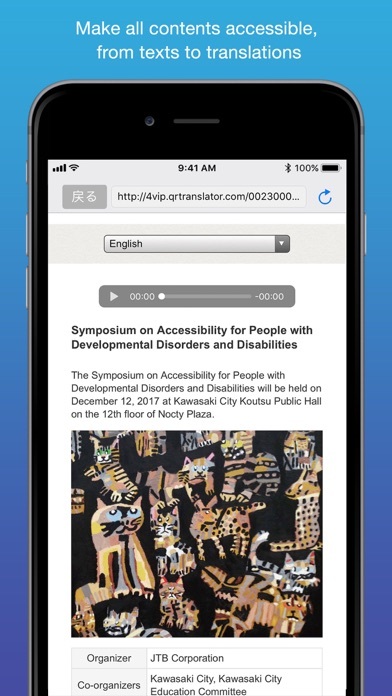 Using this application, VIPs can easily scan any 2-cm (or larger) code present on printed matter and listen to the contents using VoiceOver technology. The best way to scan codes using this application is from a distance of around 30 centimeters in the case of an A4-sized paper. At this distance, the camera can usually scan anywhere in the page for a code. Our recommendation is to place the printed material on a table with the user sitting in front of it. 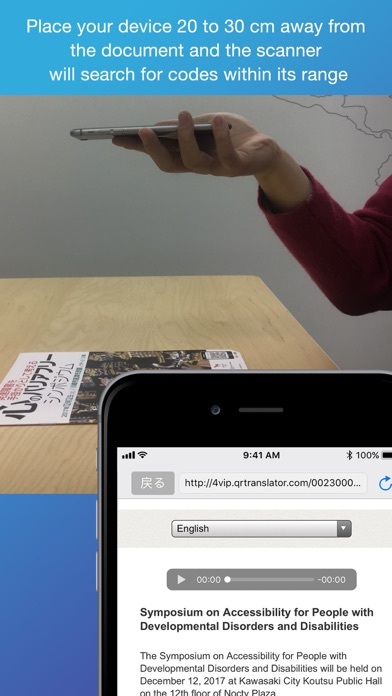 The user can then raise the phone to their chin, parallel to the table, and scan the codes very easily. ur QR codes. Our system allows you to create codes which show their content in the language the scanning device is set to.